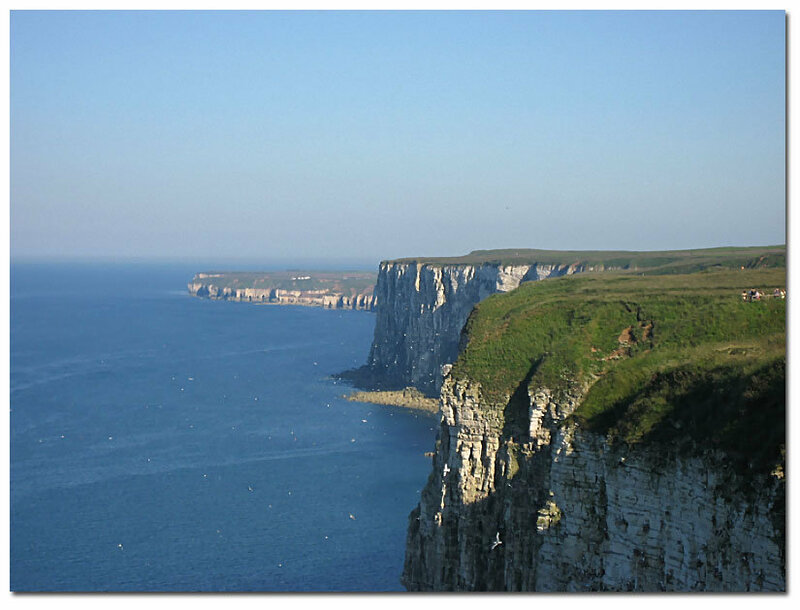 The cliffs rise even higher out of the sea at nearby Bempton, which is the site of the famous RSPB Bird Sanctuary. 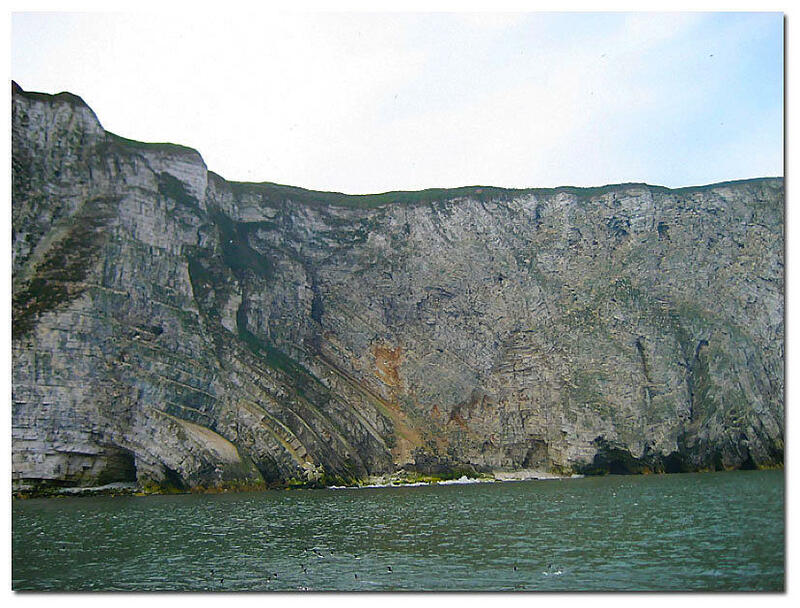 An awe-inspiring sight, the sheer cliffs are home to many species. In particular, during the season puffins may be seen in large numbers, in addition to the thousands of other nesting birds who make this the largest such colony in England. Constant pounding by the North Sea has eroded the soft chalk, creating many unusual formations, secret caves (a past haven for smugglers), and secluded bays and inlets, including the picturesque North Landing where the old Flamborough Lifeboat was housed at the top of steep slipway. The following information is reproduced from the Royal Society for the Protection of Birds' web-site: "With over three miles of sheer cliffs, rising to 400 feet/122 m, Bempton is the best place in England to see breeding seabirds (over 200,000). Five safe viewing points give spectacular close-up views of puffins, gannets, guillemots, razorbills, kittiwakes and fulmars between April and mid-August. 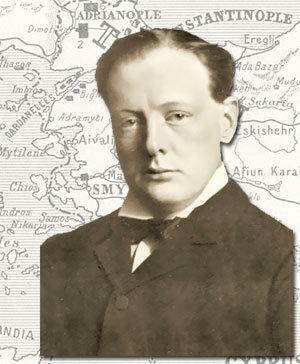 At other times there are migrating birds to be seen and possibly seals and porpoises. 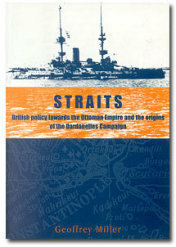 The shop has an extensive range of RSPB goods and books." The Reserve is open at all times, while the Visitor centre is open from 10 am to 5 pm March to November, and 9.30 am to 4 pm December to February (Closed 24 December to 3 January). Bempton Cliffs and the Bird Reserve : The hard chalk cliffs at Bempton rise are relatively resistant to erosion and offer lots of sheltered headlands and crevices for nesting birds. 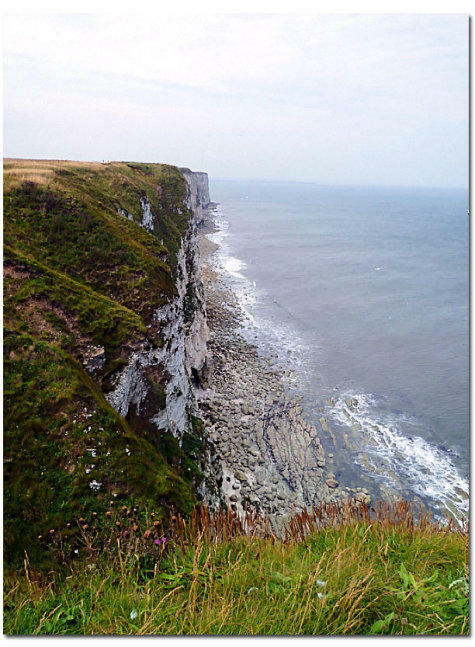 The cliffs run about 6 miles (10 km) from Flamborough Head north towards Filey and are over 100 metres (330 ft) high at points. 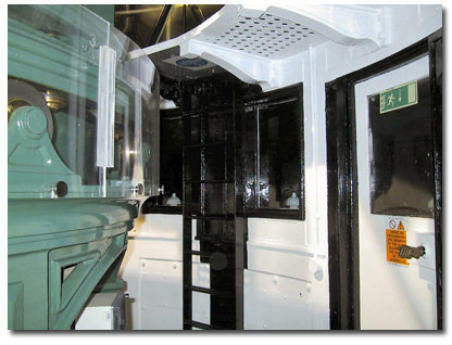 There are good walkways along the top of the cliffs and several well fenced and protected observation points. 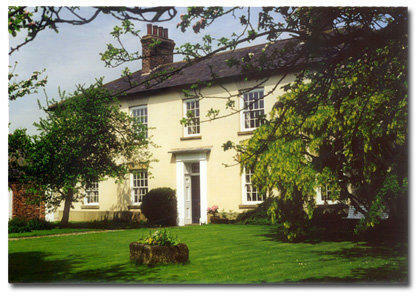 Most times there will be helpful bird watchers with a range of scopes and binoculars on hand. 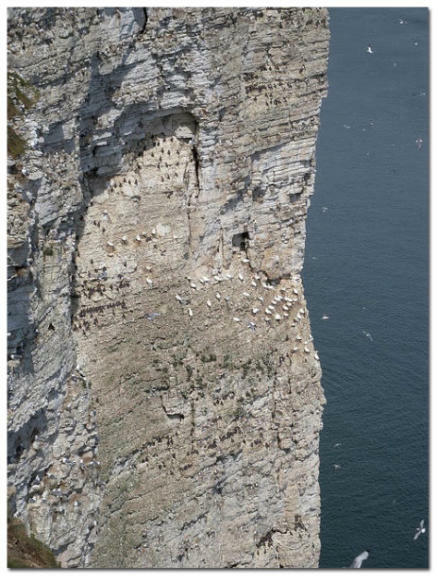 Gannets Bempton Cliffs is home to the only mainland breeding colony of gannets in England. The birds arrive at the colony from January and leave in August and September. Kittiwakes Numerically the most common bird, around 10% of the United Kingdom population of kittiwakes (Rissa tridactyla) nest here. Puffins The Atlantic puffins (Fratercula arctica) at Bempton Cliffs tend to nest in rock crevices, whereas burrows are used at most U.K. sites. The Bempton puffins mostly fly 25 miles (40 km) east to the Dogger Bank to feed. Flamborough Bird Observatory Flamborough Bird Observatory, one of 19 similar watch-points across Britain & Ireland, is a bird migration and population monitoring station on Yorkshire’s east coast. 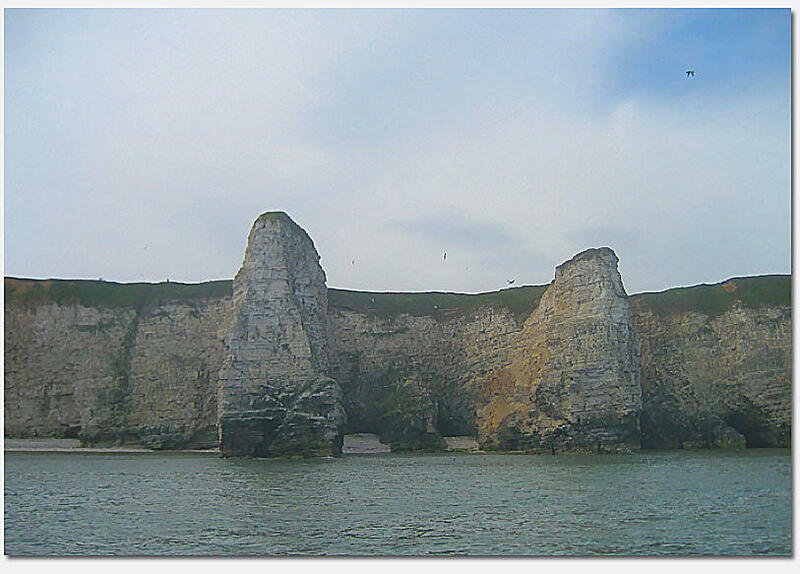 Situated on an eight mile-long chalk headland jutting out into the North Sea, like-minded volunteers have worked over the last 40 years to record both migrant and local breeding birds. Ringing takes place on both the outer head and at Buckton; with the aim being to increase the knowledge of the movement of migrants to and from their breeding grounds in Europe and Asia. 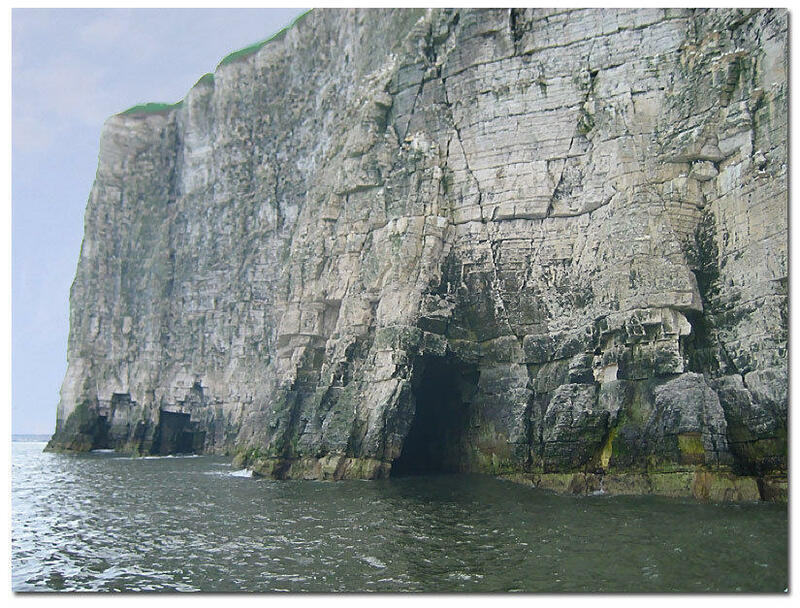 The conservation importance of Flamborough Head is recognized by two European designations; it is a Special Protection Area (SPA) for its breeding seabirds and is a Special Area of Conservation (SAC) for its chalk reef and caves. 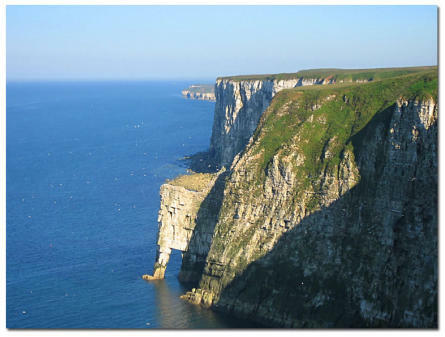 However, Flamborough is surely most renowned for its seabirds, with the high chalk cliffs on its northern edge (including Bempton Cliffs RSPB) famed for its breeding Gannets, Guillemot and Razorbill populations, and huge Kittiwake colony. 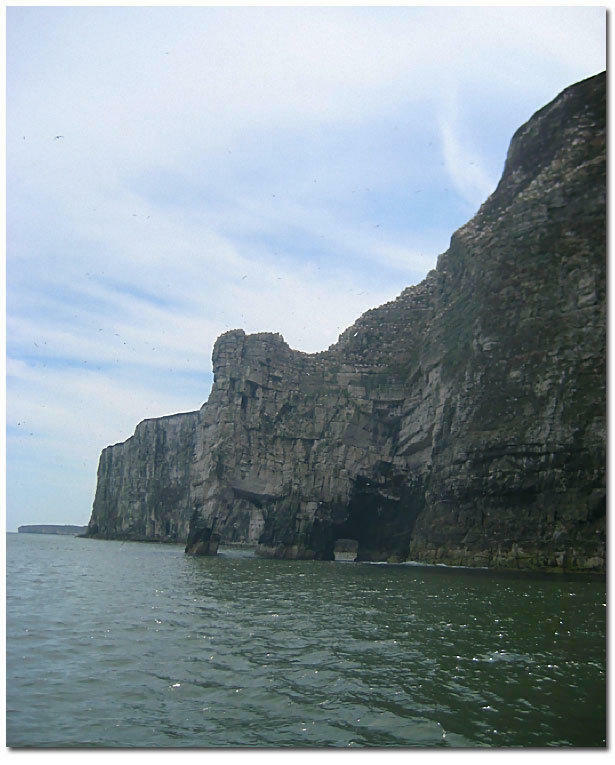 Sea-watching on the outer head has proved that Flamborough is one of the very best places to observe such passage in the North Sea. In autumn, winds from a northerly quarter can induce movements of several hundred Sooty Shearwaters daily, as well as occasional double-figure counts of Long- tailed Skuas, and no fewer than eleven Feas’s-type Petrels. 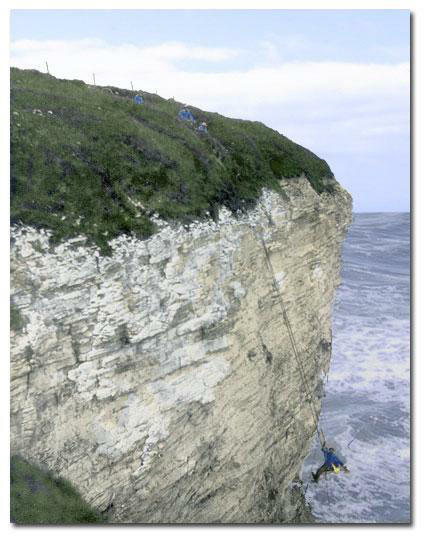 Vying with its seabirds, Flamborough is increasingly cementing a reputation for being one of the premier mainland sites for far-eastern passerines, once the preserve of Shetland. In little more than a decade, the headland has attracted the UK’s first ever Taiga Flycatcher, two Brown Flycatchers, and two Brown Shrikes, whilst an Eastern Olivaceous Warbler was appreciated by hundreds of visiting birders in 2010. In some years, the total of Pallas’s Warblers can approach double-figures, whilst Yellow-browed Warblers are occasionally present in such numbers daily. Over the last decade, members of the observatory have worked with landowners and the local council to open up a series of permissive access routes across the headland. Why not join this enthusiastic observatory team and help contribute to the growing knowledge of how birds migrate through this breath-taking landscape. 2019 Puffin/Shearwater/Skua cruise timetables All cruises take place aboard the Yorkshire Belle, which leaves from the North Pier at Bridlington Harbour. Booking essential From the RSPB web-site: "Join us on the 'Yorkshire Belle' for a spectacular cruise this summer! 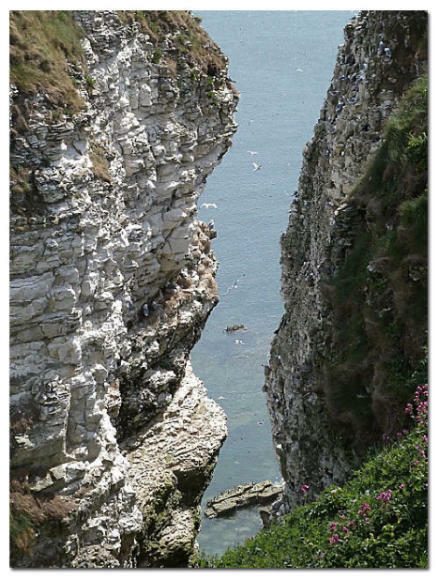 From May onwards, the cliffs of Bempton and Flamborough become a little crowded with over 200,000 seabirds setting up home. Watch gannets flying overhead, coming inshore to feed their young. The gannets are joined by thousands of other seabirds, including kittiwakes, razorbills and the colourful puffin. As well as flying overhead, you will see the birds plunging head first into the sea around you, as the boat stirs up some tasty treats. 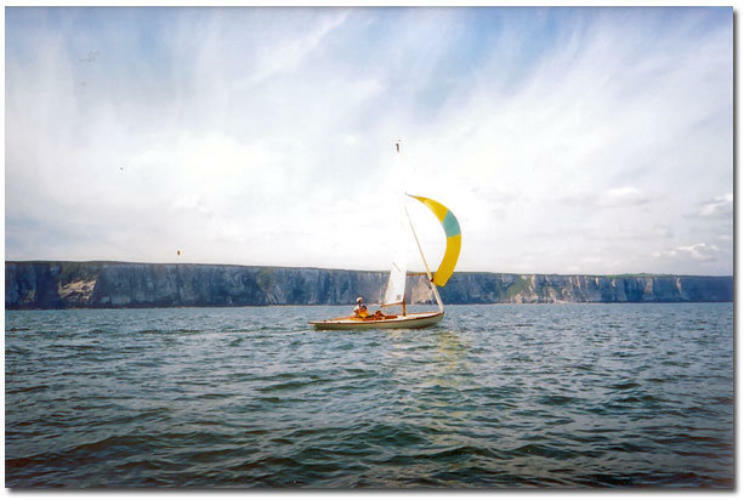 On the three-hour round trip from Bridlington Harbour, ideal for both beginners and experienced enthusiasts, you'll visit the spectacular chalk cliffs at Flamborough Head. Just be sure you make an early reservation for your ringside seat to our noisy seabird city." For further details or to book a cruise please telephone RSPB Bempton Cliffs on 01262 422211 or e-mail bempton.cruises@rspb.co.uk. 2019 Puffin/Shearwater/Skua cruise timetables will be available early Spring 2019 All cruises take place aboard the Yorkshire Belle, which leaves from the North Pier at Bridlington Harbour. Booking essential From the RSPB web-site: "Join us on the 'Yorkshire Belle' for a spectacular cruise this summer! From May onwards, the cliffs of Bempton and Flamborough become a little crowded with over 200,000 seabirds setting up home. Watch gannets flying overhead, coming inshore to feed their young. The gannets are joined by thousands of other seabirds, including kittiwakes, razorbills and the colourful puffin. As well as flying overhead, you will see the birds plunging head first into the sea around you, as the boat stirs up some tasty treats. 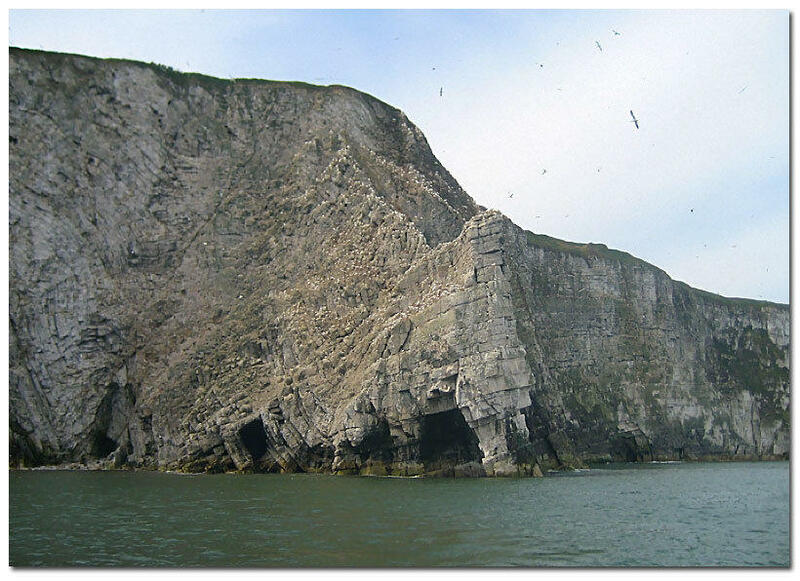 On the three-hour round trip from Bridlington Harbour, ideal for both beginners and experienced enthusiasts, you'll visit the spectacular chalk cliffs at Flamborough Head. Just be sure you make an early reservation for your ringside seat to our noisy seabird city." For further details or to book a cruise please telephone RSPB Bempton Cliffs on 01262 422211 or e-mail bempton.cruises@rspb.co.uk.